We often underestimate the impact that our words have on those around us, and yet our words have incredible power to do good or ill. 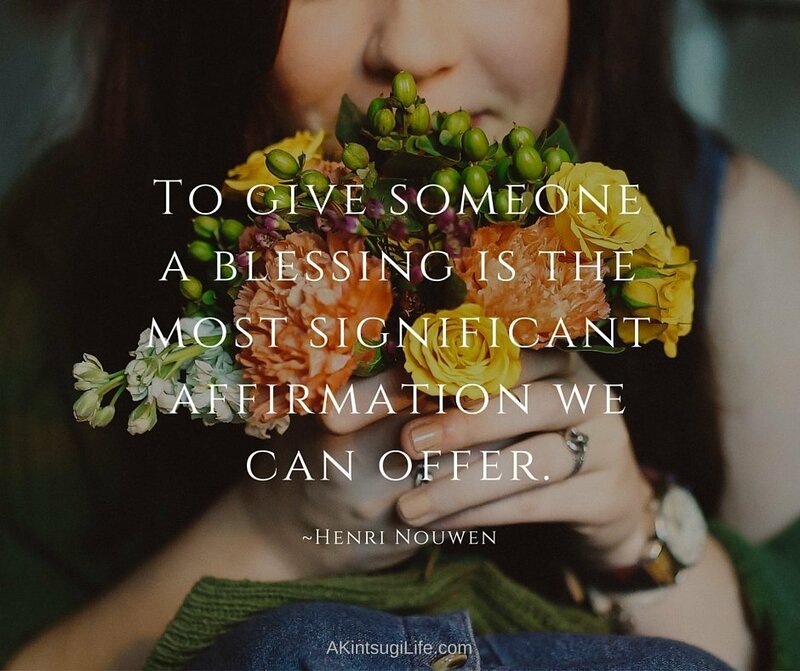 When we choose to use our words to bless others, we offer them a powerful mix of encouragement and support wrapped in a prayer for their well-being. Given how powerful this use of words can be, it’s sad how seldom we choose to engage in this practice. It can feel a bit awkward at first, as anything new does, but it’s a relatively easy habit to pick up. Next time you find yourself about to offer good wishes that start with “I hope you …” (… feel better, … have a good day, … get the result you want), rephrase it to “May you …” (… feel better, … have a good day, … get the result you want) and watch their face brighten as the blessing lands. You just might be surprised at how much it means to them … and just how good it feels to offer. It’s such a small habit to develop, and it has such powerfully positive results. Try it for yourself! May you find great joy in the practice of offering blessings to those around you this coming week!